Texas Children’s Hospital in Houston fired a nurse Tuesday for posting medical information about a toddler who tested positive for measles on a Facebook anti-vaccination page. The unidentified pediatric intensive care nurse worked at the hospital’s West Campus facility. Over the weekend, she posted about the young patient’s measles diagnosis and condition on the Facebook page “Proud Parents of Unvaccinated Children – Texas.” She also defended her anti-vaxx stance. …for the first time in my career I saw measles this week. Actually most of my coworkers and the ER docs saw measles for the first time as well. And honestly, it was rough. The kid was super sick. Sick enough to be admitted to the ICU and he looked miserable. You couldn’t touch him without him crying/moaning in pain. It was terrible. On Tuesday, Dr. David Persse, director of the City of Houston Health Department, told KTRK the boy diagnosed with measles continued to receive treatment in the hospital. He said the toddler was too young to be vaccinated, but the rest of his family was immunized. Reportedly, the child was under three years old. Including this incident, Texas confirmed eight cases of measles so far in 2018. All of the infected individuals were un-vaccinated. Of these, six contracted the virus in Ellis County, home to Waxahachie. 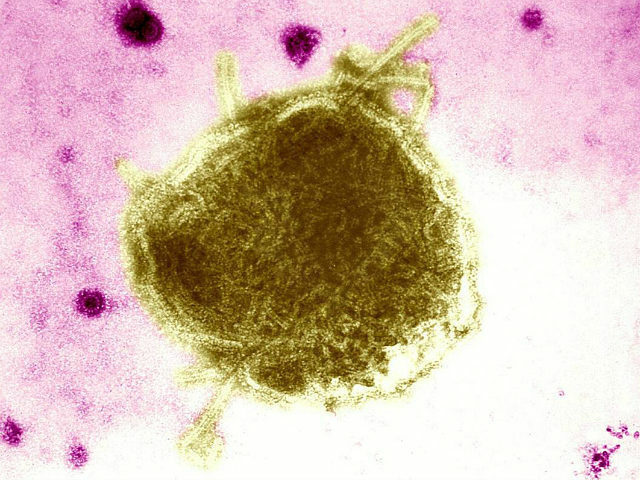 Last week, Collin County Health Care Services confirmed a high school student, who recently traveled internationally, caught measles. In August, Breitbart Texas reported up to 57,000 children in the Lone Star State were not vaccinated because their parents opted them out of inoculations through “conscientious” exemptions. This reflected a 20 percent increase of un-vaccinated children since 2003, which could fuel a Texas measles outbreak, according to Dr. Peter Hotez, dean of the National School of Tropical Medicine at Baylor College of Medicine and director of the Children’s Center for Vaccine Development at Texas Children’s Hospital. In 2016, Breitbart Texas reported public health officials estimated nearly 45,000 of the state’s public school children were not immunized. Hotez cautioned Texas potentially sat on a measles “time bomb” that could explode in 2018 because of plummeting vaccination rates. He attributed the troubling spike in vaccine exemptions to the anti-vaxx movement based on the debunked work of Dr. Andrew Wakefield, who alleged a connection between vaccines and autism. Later, Wakefield’s claims were discredited by the medical community and he lost his license to practice medicine. Hotez, the father of an adult child with autism, stated that scientific studies show no link between vaccines and autism. Previously, he emphasized that one contagious person could easily infect 12-18 infants who are too young to take the Measles-Mumps-Rubella (MMR) vaccine. Hotez said measles is a leading cause of child mortality, killing 100,000 youngsters worldwide each year.